2018 is off to a fabulous start with the winners of the Custom Golf Car photo contest. We received an unprecedented number of entries and our judges had the difficult task of choosing the Best of the Best. Our Winner, Brian A. Rott, President & CEO of Cart Mart, had the unique opportunity to work on a piece of history! What an incredible job his team did in restoring the 1969 Turf Rider golf car that once belonged to the 34th President of the United States, Dwight D. Eisenhower. Check out the winners and some of the other cool golf cars that were submitted here. Dealers customizing golf cars happens every day of the year. But once a year, NIVEL challenges its employees to build unique golf cars using the breadth of parts and accessories available to dealers through NIVEL. 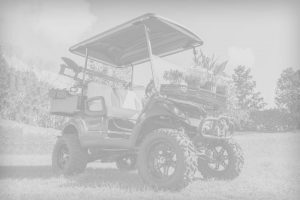 This Golf Car Build off challenge allows team members from every sector of NIVEL to learn about the products NIVEL offers and fosters a unique competitive atmosphere that everyone loves. Take a look at what the teams built with the innovative products NIVEL offers and see who won BEST IN SHOW for 2017! View this month’s Featured Article here. 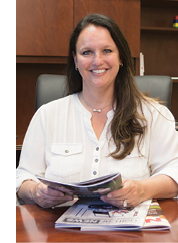 In this issue, we have a new Product Spotlight to share with you. This is an exciting new feature in Golf Car News to showcase the latest and greatest and give you the information you need to keep up with emerging trends. The first Spotlight comes to us from NAVITAS. Up Next… The Golf Car Battery issue. We’ll update you with a guide on batteries and affiliated products used in the golf car industry.